It seems like only yesterday when Tipper Gore took the inaugural walk with her husband down Pennsylvania Avenue. 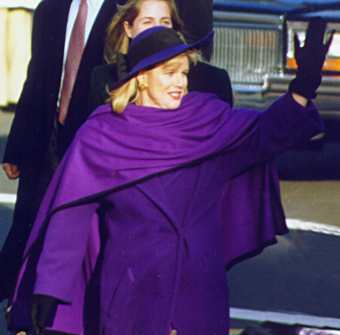 Mary Elizabeth Gore, Inaugural Parade, January 20, 1993, Pennsyvania Avenue, Washington, D.C. 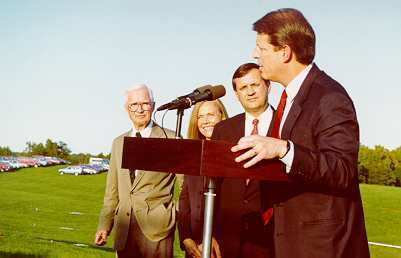 I do not recall whether Al and Tipper came to town for the Clinton's visit at Monticello. She did visit Charlottesville in 1988, when Al was seeking the Democratic nomination for President the first time and again in 1992 for inaugural ceremonies. 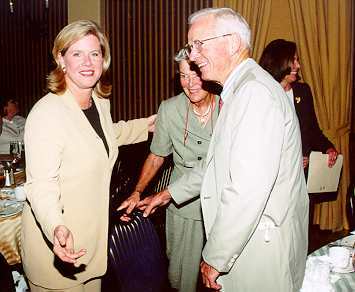 Al also came to Charlottesville for a reception with Congressman L.F. Payne one fine September morning. On her visit to Charlottesville on Tuesday, Tipper was warm, gracious, articulate, and committed.